While Finland is gearing up to the national elections (taking place 14.4.) that are finally dominated by climate change, it is important to ensure we do not ignore the developments in the Finnish corporate world right under our noses. The slowly unveiling corporate takeover on Uniper by the Finnish majority state-owned company Fortum is important to follow vigilantly. And, in particular, how Fortum intends to tackle the elephant in the room: Uniper’s enormous emissions. 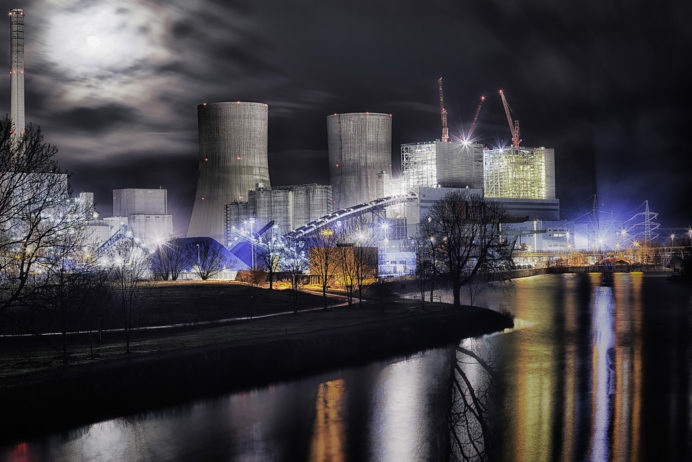 Uniper: the fate of the utility’s coal plants? In 2016, Uniper spun off from E.ON and was left with the legacy of coal and gas power plants, wholesale trading and gas production activities. In June 2018, Fortum completed an uncommonly dramatic series of events that led to the company gaining nearly 50% of Uniper’s shares – against Uniper’s will – accompanied by a smear campaign orchestrated by the company’s top management. At one stroke, at the behest of CEO Pekka Lundmark, the Finnish state suddenly became associated with new electricity production capacity that is 3-4 times larger than all of Finland’s power utilities. And with that also responsible for the pollution that comes with it. This is why we have approached Fortum already in early 2018 and asked for decisive action to move beyond coal. In March 2018, we attended Fortum’s AGM and demanded answers. Importantly, we asked for the closure rather than the sale of the coal plants by 2030. We made clear that we do not consider coal power production to be in line with the Finnish state’s and many Finnish pension funds’ coal policies. However, the silence is becoming increasingly deafening and Fortum’s senior management has not given any real assurance that it is going to act. In fact, Lundmark’s stance has recently started to lean more towards coal’s continuation in the European energy mix as the details of the German Coal Commission are becoming clearer. Shockingly, Pekka Lundmark has now explicitly expressed his support for Datteln 4, also known as Germany’s most hated coal plant, to come online and produce electricity into 2038. Furthermore, some of Uniper’s coal fleet in France are on sale to the Czech billionaire Daniel Křetínský, whose company EPH has no intention to close the plants down but rather to run them until all the remaining profits are squeezed out. That will in no shape or form reduce the atmospheric carbon in the timeline dictated by the International Energy Agency: burning coal must end in OECD countries by 2030. This year, we at Hiilivapaa Suomi attended again the Fortum AGM together with our NGO partners in order to ask the uncomfortable questions on everyone’s lips. Unfortunately, CEO Pekka Lundmark left us unconvinced that the company is intending to move beyond coal. We reiterated our demand for closure rather than selling of the plants. Pekka Lundmark’s response repeated the line we already heard in 2018: “while selling indeed does not reduce emissions, neither does it increase them”. Essentially, we were told boldly that the business-as-usual is acceptable and, consequently, a world that is allowed to warm at least 3 degrees and beyond. This is particularly troubling coming from a key member of the Climate Leadership Coalition, the Chairman of the Board of Confederation of Finnish Industries (who have publicly called for 1.5 C target) and a company that can be considered the corporate ambassador of the Finnish state. 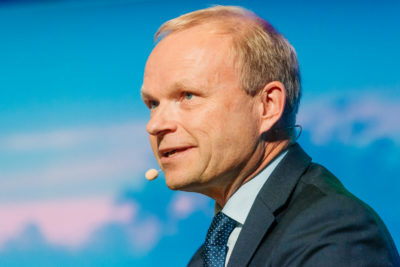 Furthermore, Lundmark repeatedly hid behind the separate corporate structures of Fortum and Uniper – as if the companies were not in any way affiliated – and refused to take a stance on the future of the coal plants. While Uniper has its own management structures, it is simply ludicrous to pretend that Fortum would not have influence over the company. After all, the CEO and CFO of Uniper recently stepped down because the negotiations with Fortum failed. It is also highly likely that Fortum will soon surpass the current 49.99% ownership giving it increasing power over Uniper. In truth, the evasiveness means that Fortum does not want to reveal their intentions in public. Which we believe entail selling the coal plants to the highest bidder and, thereby, indirectly endorsing that there is no end to pollution (causing 316 premature deaths annually, for example). Fortum’s lax public attitude towards its new subsidiary is no laughing matter. Uniper alone emits more CO2 than the entire Finnish state in a year. That is all Finnish buildings, CHP plants, cars, agriculture emissions, waste and steel factories put together. The open question now remains whether Fortum will force Uniper to change and whether Fortum’s own stakeholders will force it to take a stance on Uniper. Will the Finnish shareholders now become forceful stewards? The investor community can be the new frontier of positive environmental change. Especially through ownership in companies who have realistic chances to close operating coal plants and shift power production – and the long-term company strategies – towards renewable electricity and heating. Since the company has yet to live up to its responsibility, we are now asking the largest shareholders of Fortum to move instead: the PM’s office responsible for the state-owned companies and the Finnish institutional investors. Furthermore, we approached Fortum’s board who are supposed to maintain a system of checks and balances and to ensure adequate oversight over the company. The investors must rise to the occasion and demand the appropriate corporate citizenship from the utilities. Many of the Finnish investors are ClimateAction 100+ members and, therefore, expected to intervene. It is no longer enough to just to softly engage with the company – we expect more. This means outcomes-focused and transparent escalation process. We in the civil society will play our part as the watchdog. We are going to make sure that the urgency dictated by climate science is not forgotten. If nothing happens we will return and turn up the volume louder.